In Japan, we have wide varieties of excellent stationeries, and many Japanese people are particular about what they use. There is even a stationery freak (?) 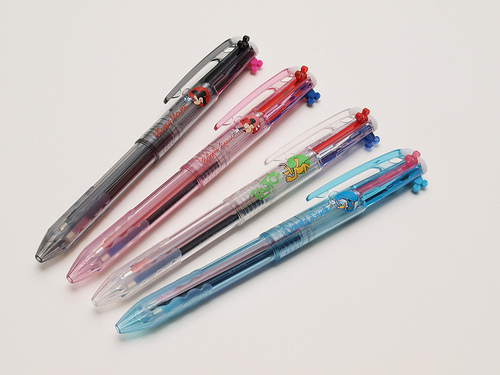 nicknamed “Stationery King”, which is “Bungu-o” in Japanese. His name is Mr. Takahata and he writes reviews of the stationeries he found or developed on his website. His reviews are also posted on famous websites and he is a very famous figure in stationery industry. Personally, I asked Mr. Takahata to allow me to post his reviews on JAPAN Style and he said “YES”. So from now, I will share his interesting reviews on JAPAN Style regularly. Today’s stationery is a ballpoint pen called HI-TEC-C Coleto by PILOT, which you can customize the three ink colors easily. Look at the knock parts closely… Do you recognize the shapes? 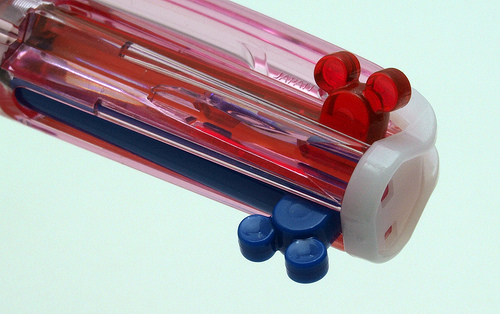 It holds three different colored ink refills and the ball size is 0.4mm (usual size is 0.7mm). There are four kinds; Mickey, Minnie, Pluto and Donald. The ink colors originally set are different but you can customize them with the ink refill set. The ink refill set comes with eight different colors. It looks thumb sits on the ear well and easy to knock! 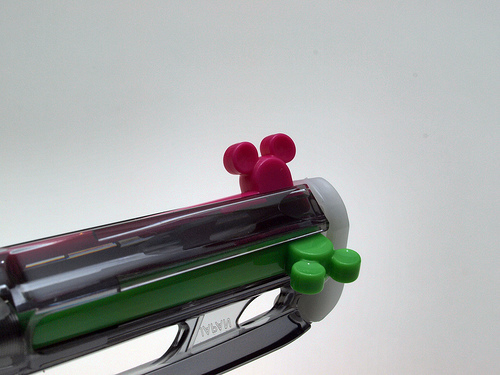 The Mickey refill ink can fit on a regular Coleto body, so you can make semi-Mickey pen by combining them! 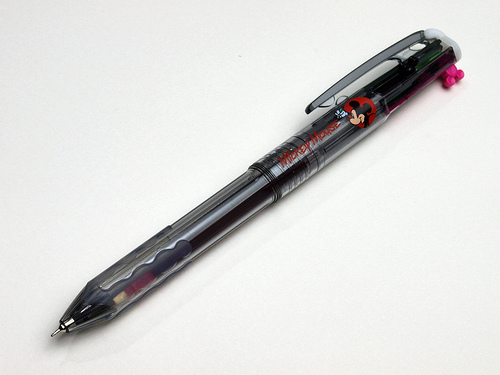 The pen is only available at Disney stores. Since it’s very practical and useful, even those who don’t care Disney might want it!? JAPAN Style will post more stationery reviews by the stationery king, so please don’t miss them! > coleto user: I am sorry but I do not know where you can get the Mickey pens now. You can see some items in the Disney store online but not every item is on the website. 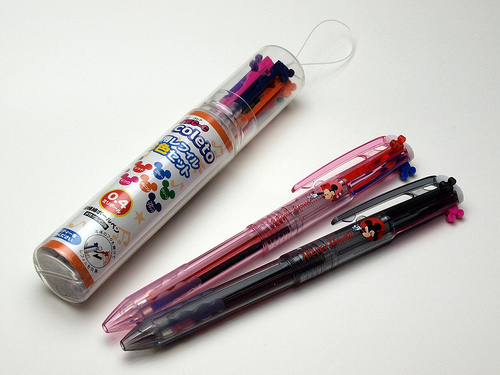 The Mickey pens are not regular items and produced during a certain period. So it’s hard to say they might still be at stores.The thing is that items in Japanese markets changes in much shorter span than those of America.